Blogging and online article writing have transformed the world of marketing. Immediate access to the vast resource that is the internet, means consumers are less responsive to traditional marketing and sales techniques. The days of the ‘foot-in-the-door’ high pressure sales have gone. Today’s buyers want good quality advice and information … and that’s what blogging is all about. Our team here at SEO Service Pros are experienced in blog development and integration and happy to offer you advice. If you’d like a no-obligation chat, call us on 0845 601 2237. Alternatively, send us your enquiries for more information. There’s no doubt a blog is a marketing tool. However, it is a subtle one. 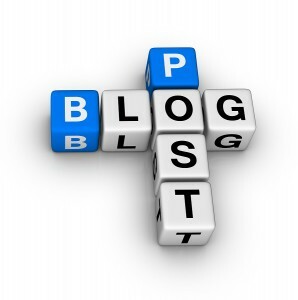 A blog shouldn’t be a thinly disguised advert for your company. Instead, it should provide the reader with the valuable information they need to make a buying decision. Blogs should answer the buyers’ questions before they ask them. And, if your company has given them the information they want, they are more likely to buy from you. Our team at SEO Service Pros generally recommends an integrated blog as being the most effective. However, this depends on the individual’s situation and we never offer advice until we have conducted a thorough analysis of your current internet marketing and SEO activity. What is an Integrated Blog? Unlike an independent blog which is quite separate from your site, or one which is hosted on a sub-domain, an integrated blog is one which is built into your website. Search engine optimisation is an ongoing activity and adding fresh content to your website is essential to maintain its performance. With an integrated blog, updating your website with relevant information is quick and easy. This plays a vital role in your long-term SEO strategy. Many people are put off blogging because they simply don’t know what to blog about. Yet, the majority of companies have a huge skill-base and a wide range of possible blog topics. The secret is learning to recognise these and converting them into valuable blog content. Our SEO consultants are always happy to advise you on potential blog topics. Once you have developed a ‘blogging mindset’, you’ll find it much easier to create unique and valuable blog content. While every organisation can benefit from blogging, not everyone has the skills, the time, or even the inclination to write a blog. You might be surprised to learn many companies outsource their blog writing to professional copywriters. This isn’t cheating – it’s just plain common sense. Blogs, like any other type of online copywriting, call for well-written content and careful use of keywords to ensure the search engines optimise your articles. Our team of highly skilled SEO copywriters are ready, willing and able to help you write your blog content. Working with you, we can help you identify topics, write the blog articles, and even post them on your site. That’s blogging made easy! Don’t miss out on your blogging opportunities. Why not have a chat with us instead. We’ll help you with every stage of your blogging journey. You can call us on 0845 601 2237 or send us your enquiries, if it’s easier.